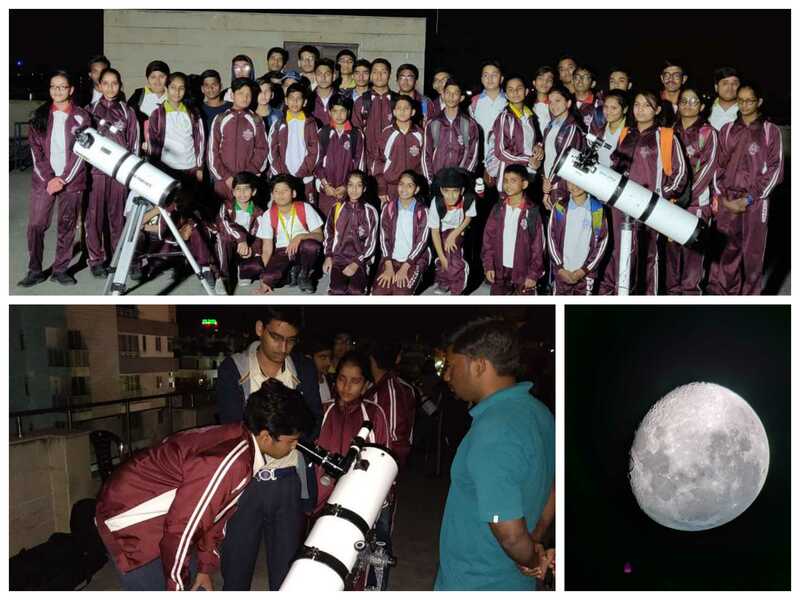 St. Edmund’s School, Jawahar Nagar, organised a fun, interactive as well as informative evening with an astronomy night camp which provided a good platform for students to view the night sky. The event focussed on exploring galaxies, stars and planets and showing different wonders found in our solar system through a telescope. Students were carried away by seeing the craters of the moon, rings of Saturn and satellites of Jupiter etc.. and were overjoyed to see the binary stars. This camp ignited an excitement within the students that could lead them into further studies. Lastly, School Joint director Dr Pooja Singh and Principal Mrs Anu Bhatia assured the parents that the school will continue to organize such knowledgeable programs from time to time.